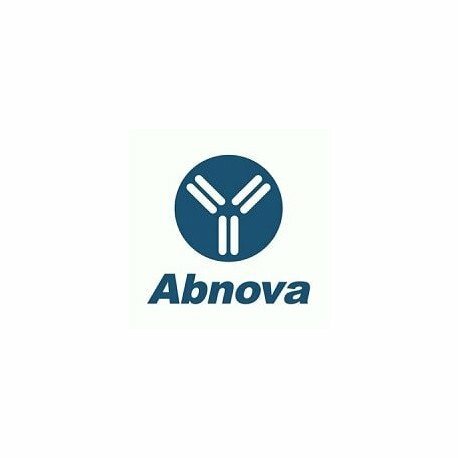 Product description: Rabbit polyclonal antibody raised against synthetic peptide of TRIM29. Immunogen: A synthetic peptide corresponding to amino acids 569-583 of human TRIM29. 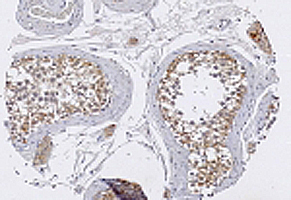 Application image note: Immunohistochemical staining with TRIM29 polyclonal antibody (Cat # PAB0283) in normal testis tissue at 1 : 100 dilution. Publications: Prognostic Significance and Gene Expression Profiles of p53 Mutations in Microsatellite-Stable Stage III Colorectal Adenocarcinomas.Katkoori VR, Shanmugam C, Jia X, Vitta SP, Sthanam M, Callens T, Messiaen L, Chen D, Zhang B, Bumpers HL, Samuel T, Manne U.
PLoS One. 2012;7(1):e30020. Epub 2012 Jan 19.